Are you a health and fitness nut? Do you prefer swimming, running, bicycling, or working out at the gym? Many apps help track activity, calories; calories burned, etc… Apps range from simple and free apps to more complex and costly apps. The following information explains some of the apps out there. The following is a list of free Android apps. All these apps are available free from the AppStore and Amazon.com. Also included in the list is the release date of the apps. Appcessories, such as the sport watches that can synchronize with phones and websites, have become the most widely used health and fitness apps among fitness pros. The following are some of the newer sport watches used today. 1.TomTom runner cardio watch (April 30, 2014): TomTom runner cardio watch is available at TomTom stores and will be available at other stores, such as Amazon, May 30, 2014. The price is $269.99. The user experience design of the new TomTom runner cardio watch, made mainly for cyclists, swimmers and triathlon runners, will work well, however, for stationary bicycle and treadmill users. This waterproof watch has a motion sensor and a sensor to calculate and record cycling stats. It records laps, strokes, and swimming efficiency. Heart rate, distance, speed, and calories burned shows on the extra-large watch display. It has five intensity levels, of which, can all go through warming up to high intensity training. This runner cardio watch syncs with the Galaxy S 5 phone and syncs to MapMyFitness, RunKeeper, Strava, and TrainingPeak, all of which are health and fitness websites and apps. All data from the watch uploads and tracks onto any of these websites. This Casio Smartwatch sells at Amazon.com for $79.95. This water resistant Smartwatch has a battery life up to two years. It has a stopwatch, and it measures and records distance and laps. Features include a phone finder, music control, and workout data display. The Casio Men’s Smartwatch synchronizes with iPhone (5s/5c/5/4s - with iOS7 or higher).It works with fitness apps, Abvio’s Runmeter, Walkmeter, Cyclemeter, and Wahoo Fitness, all of which are accessible for download from the Apple App Store. With these apps, the Smartwatch is capable of checking activity data such as pace, distance, elapsed time, heart rate, speed. The Polar Loop Activity Tracker sells at Amazon.com for $89.00. It has a single button for navigating menus. The Polar Loop Activity Tracker records and tracks steps taken and distance covered. It displays how many calories burned. It pairs with a Bluetooth heart rate strap, which helps to determine the intensity level and the calories burned. The Polar Loop synchronizes activity data directly with an android or iPhone. It also synchronizes to the Polar Flow website, for tracking data. How does synchronizing a sport watch with a phone app and website work? Watches are great at sensing whatever activity you are doing in the present and showing the amount of calories burned. However, if you want to track all of the activity of the day, or of the week, then a phone app and website are required. Most smartphones are now equipped with Bluetooth, and this is usually how the watches synchronize with a phone app. Most of the phone apps will track some activity data for the day, which usually includes physical activity; calories consumed, and calories burned. For a complete picture of activity over a specific length of time, synchronizing to a compatible website is necessary. To do this, a USB cord is needed. This USB cord is used to synchronize the phone to the website. 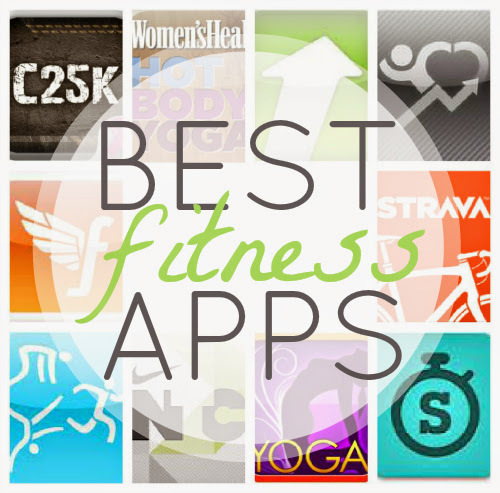 As suggested above, there are many apps and appcessories to use to improve health and fitness. What app a person uses and how much he or she is willing to pay are dependent on how serious he or she is with health fitness.